Google is launching a new YouTube Go app that will finally allow users to download videos for offline playback. You’ll be able to choose the quality of the video you save, and the app will tell you exactly how much storage space is required for each clip. Google has long been fighting against YouTube video downloads for obvious reasons, and it comes down hard on third-party apps and tools that provide this option. However, the company recognizes that there’s a genuine need for it in places. 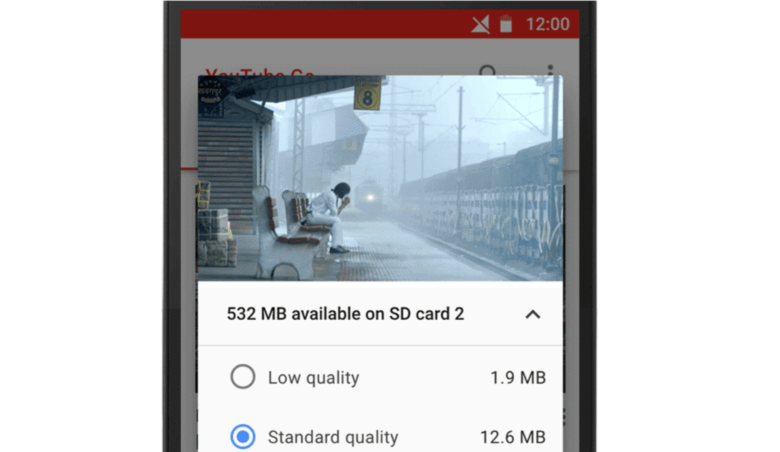 YouTube Go is designed for those who live in areas where data coverage is limited. It gives users the option to download videos they know they’re going to want to watch later, and to share videos to friends’ devices locally without using any data. YouTube Go builds upon the Smart Offline service that Google launched in India back in June. This downloads the latest videos from your favorite channels automatically overnight when your device is connected to Wi-Fi, allowing you to enjoy them throughout the day while offline. “YouTube Go is a brand new app to help the next generation of users share and enjoy videos,” said YouTube product management VP Johanna Wright. The new app will be tested in India first before a wider rollout. Users can sign up to test the app now, but there’s currently no word on when it will be available in other countries.